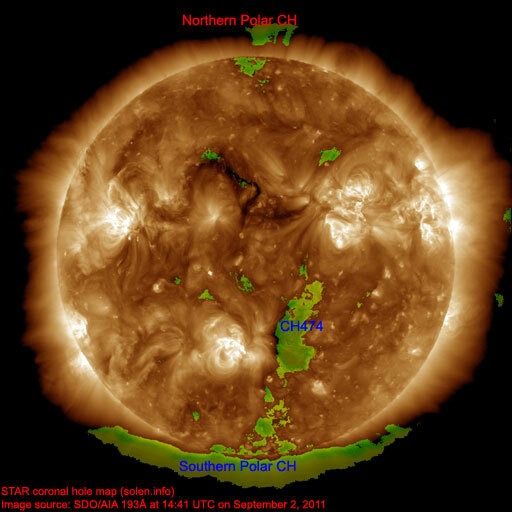 Last major update issued on September 2, 2011 at 04:15 UTC. 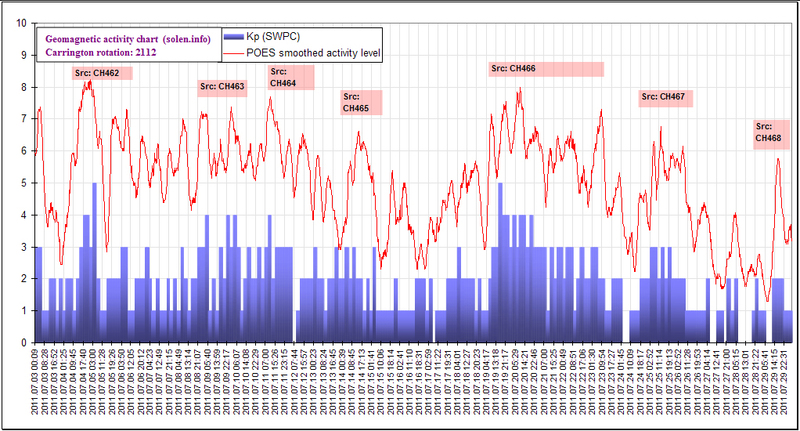 The geomagnetic field was quiet on September 1. 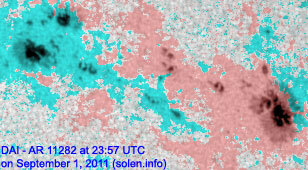 Solar wind speed ranged between 274 and 338 km/s. 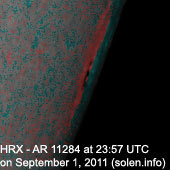 Solar flux measured at 20h UTC on 2.8 GHz was 111.8 (increasing 2.4 over the last solar rotation). The planetary A index was 3 (STAR Ap - based on the mean of three hour interval ap indices: 3.0). 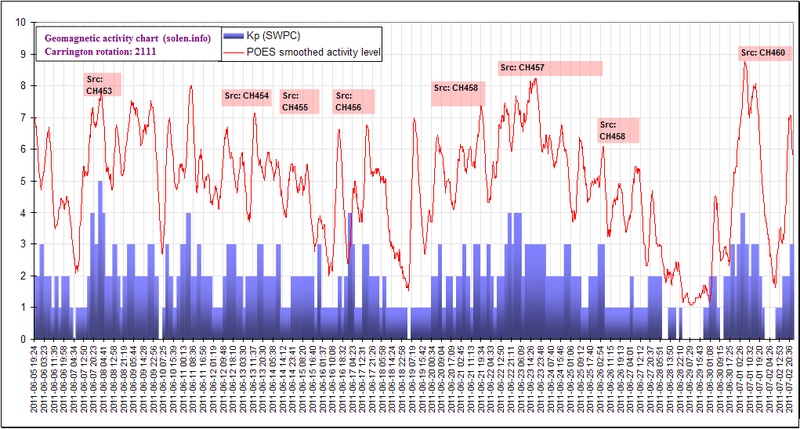 Three hour interval K indices: 11001111 (planetary), 11002101 (Boulder). 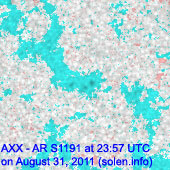 The background x-ray flux is at the class B3 level. 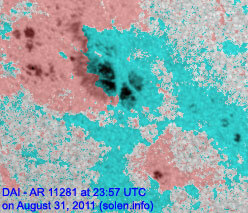 At midnight UTC the visible solar disk had 7 spotted regions (in 2K resolution SDO images). 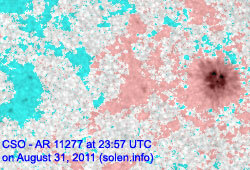 Region 11277 was quiet and stable. Region 11279 was quiet and stable. 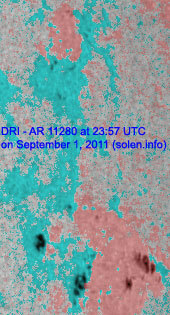 Region 11280 developed slowly and was quiet. 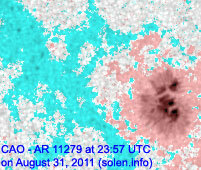 Region 11281 developed slowly and could produce C flares and maybe a minor M class flare. 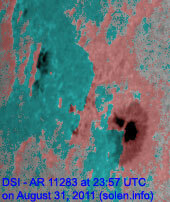 Region 11282 was quiet but could produce C flares. 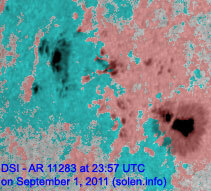 Region 11283 developed further with firther C class flaring likely. 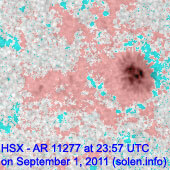 A minor M class flare is possible. 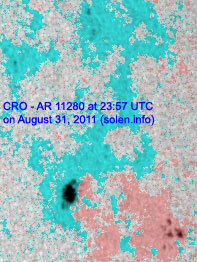 Flares: C2.0 at 12:48, C2.0 at 18:22 UTC. 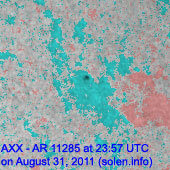 Region 11284 was quiet and is rotating over the southwest limb. 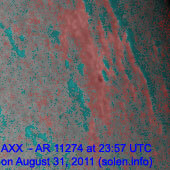 August 30 - September 1: No obviously Earth directed CMEs were observed in LASCO or STEREO imagery. 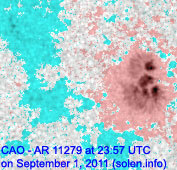 A coronal hole (CH474) in the southern hemisphere was in an Earth facing position on September 1. 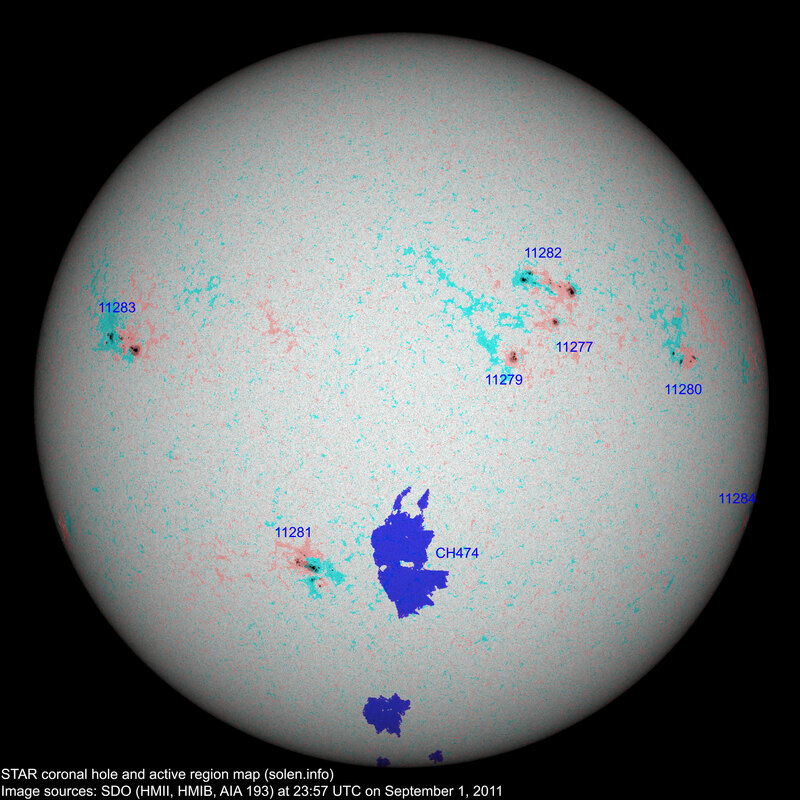 The geomagnetic field is expected to be quiet on September 2-3. Quiet to unsettled conditions are possible on September 4-5 due to effects from CH474.